EFCC Turning Into A Department In APC? 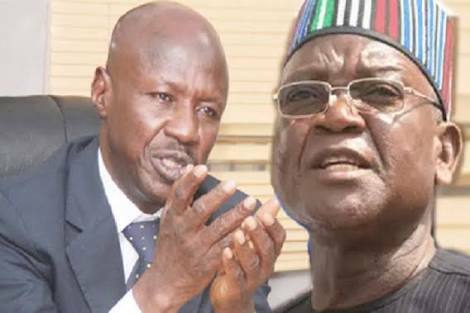 Benue State Governor Samuel Ortom has alleged that the Economic and Financial Crimes Commission (EFCC) had become a department in the rulling All Progressives Congress (APC). The governor also accused the anti-corruption body of being openly biased in its fight against corruption.